How often have you found yourself bypassing your intuition. Only to regret later that you wish you’d listened? Thinking back over the past, how might your life have turned out differently if you’d listened to that all important inner voice, feeling or knowing? What have you learnt about not paying attention and going along with things in the hope that they will change – BUT, they don’t! What is it that remains to be achieved for you? Perhaps a career goal, learning something new or indeed that all having that all important relationship that’s right for you? What if you were to start to listen and trust your intuition from now on? How will that serve you? We can use our intuition on many levels and for many aspects of our lives. For example even though it isn’t ways nice to know my intuition has told me that people three different people I was very close to and a devoted pet were going to die. These were all situations that were out of my control and I could not have changed the events, though I knowing how strong my intuition is, I now pay more attention to it. In the past, I’ve also know intuitively when relationships haven’t been right for me but went into them blindly, thinking that things would get better. Not any more! Think about your own intuition now. How does it present itself to you? ~ Do you get an inner knowing? ~ A thought or word come into your head? We each experience our personal intuition differently. For me it’s very much a physical response, often my skin tingles, I feel heat or coolness, also I hear words alerting me to positive and negative experiences. I spoke to a friend recently who had a decision to make between two choices. Totally torn between making a choice, even more so after asking hundreds of people ‘what do you think’ making a decision seemed even harder. Trouble is when we put our decisions ‘out there’ for others to decide for us, those people would be telling you what they think based on their thinking/intuition or opinion. So I took my lovely friend through a short process where they were able to listen to their own intuition. Simply by asking questions and waiting for the answer. Our bodies are amazing and already have the answer. Several times over my friend had definite clarity over what intuitively was the right decision. They never thought of going within to find out what to do. ~ When it comes to love relationships, how has listening to your intuition served you well? ~ How has not listening impacted you? ~ What did you learn from either not listening or paying attention? If you made a deal with yourself right now to pay attention to your intuition in what areas of your life do you want answers? Set an intention and ask your intuition to provide you with the answers. Be open to receiving intuition in a number of ways: Knowing, sensing, seeing, hearing, feeling, symbols, dreams etc. I’m also available for VIP Days Helping you to get to the heart of love. Here’s to you and you your amazing intuition! 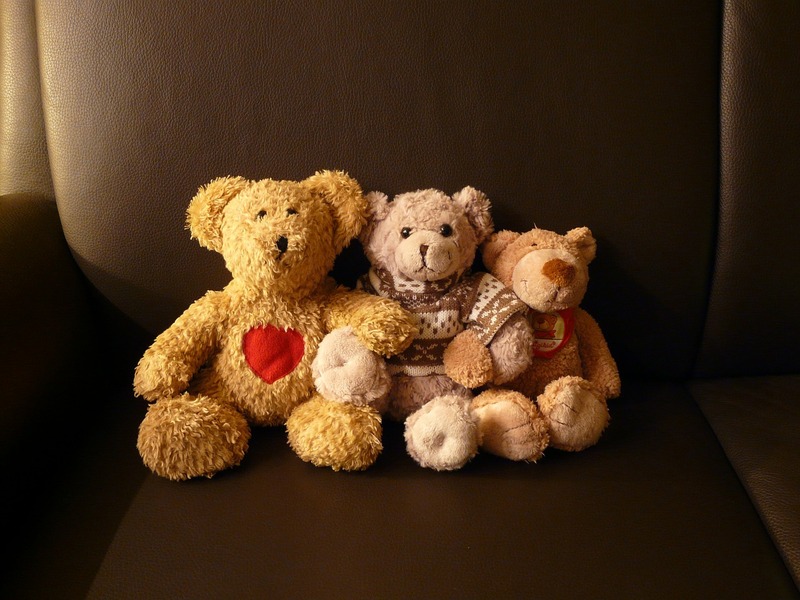 Many people say ‘you can’t choose your family but you can choose your friends’ so this weeks blog is all about friendships and indeed how friendships bring love and laughter into our lives. Think back over the years, right back to childhood and remember the various friendships that you’ve made. Perhaps you are still friends with people from your primary years, childhood sweethearts or even neighbours that you grew up with? I was talking to a client recently who said that she has different friends for different things. This makes absolute sense! If you love bungee jumping, white water rafting and adrenalin sports and your girlfriends don’t it’s time to perhaps consider finding ‘your tribe’. A tribe is a group of people who often share the same values, beliefs, common goals and who are supportive to you. Who do you have in your tribe right now? What do you love the most about these friendships? How do the people who are in your tribe provide you with what you need? What do you offer to these connections and friendships that your tribe enjoys receiving? How does having this connection bring fulfilment to your life? Perhaps you are a parent and enjoy coffee mornings after you’ve dropped your children off to school. Maybe you tend to hang out with work colleagues after work for a drink or bite to eat. What groups and societies do you belong to where like minded souls gather? Who do you enjoy being with the most? How are you spending your spare time? Are you doing enough of what makes you happy? If you don’t have the equivalent of a tribe I can guarantee to you that once you get clear about how you like to spend your time you can either set up your own tribe or find out where there are tribes already set up doing what you love. So if it’s walking, photography, arts and crafts, Zumba, train spotting, candle making, an interest in Dr Who, music, dance, ladies who lunch, dating sites, Reiki shares, choirs, tap dancing, flying light aircraft, running groups or writing blogs to connect others together. There is someone just like you waiting to meet you! We have a good old gossip, laugh hysterically and we are also there with a listening ear when personal health or family issues come up. I have other tribes for the spiritual aspect of my work who help me to develop both personally and professionally. These are other therapists, people who are involved in holistic health care who share the same skills as myself who are Hypnotherapists, EFT and Future Life Progression Practitioners, Life Coaches, Speakers and trainers. If you feel you’re lacking in the friendship department or have had difficult friendships as many do, it’s never too late to move on from the past and to make new friends or work towards improving current relationships and friendships. Much of my work covers relationships with others as well as the relationship that we all have with ourselves. 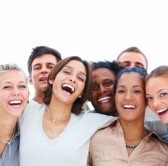 I work with individuals, couples, families and friends, helping each person to understand their unique beliefs about friendships and relationships. We explore communication styles and how to ask assertively for what we need in that relationship or friendship. Our early relationships often shape our current ones and we can also explore how the past may influence the future addressing any misunderstandings about love, relationships and friendships. Here’s to making a connection with like-minded people because friends matter! When Nothing is Certain ~ Everything is Possible! What is it that you have been worrying about? Who or what has been taking up your thought time? How often does ‘not knowing’ the result of something and ‘uncertainty’ throw you off balance? 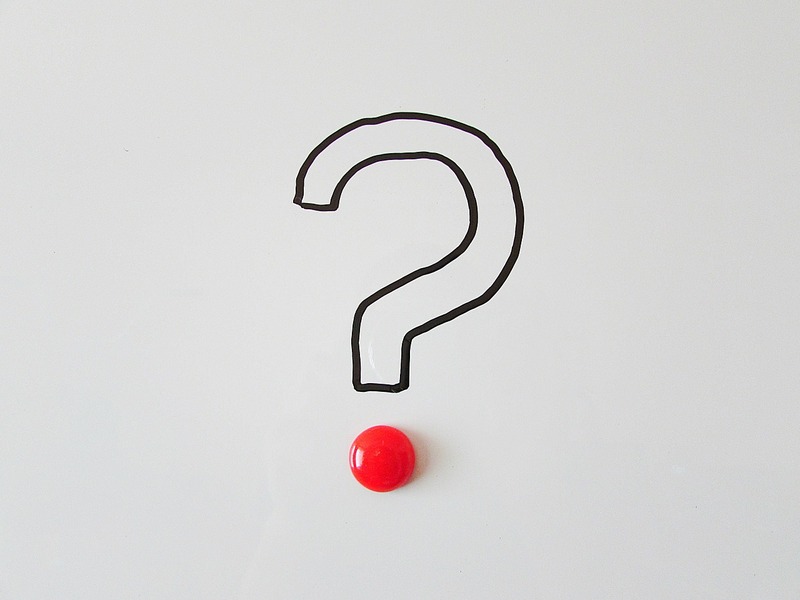 What outcome do you focus on when what you want to know about something which isn’t yet known? What percentage of your thoughts are positive? It’s natural for our minds to think and prepare us for the worst case scenario when we are faced with making choices. It tries to protect us from danger and harm. Our animalistic’ fight and flight’ mechanisms kick in and sometimes we may also experience the freeze response and we are trapped inside our own thinking, too frightened to move. In fact, what we create in our minds isn’t actual reality, it’s a story that we make up about what we think will happen. I bet half of the things you’ve worried about from birth to now haven’t even happened! Fear disables. It stops you from growing, advancing, progressing and achieving! Don’t let your fear based thinking get in your way, your thoughts can be changed! I personally now tell fear to ”go and do one!” I’m too busy thinking about what else IS possible! FEAR = Feeling Excited And Ready! Fear and Excitement are often felt in the gut (solar Plexus). Don’t confuse your fear with excitement, use the energy of excitement to motivate you into achieving positive outcomes for yourself. 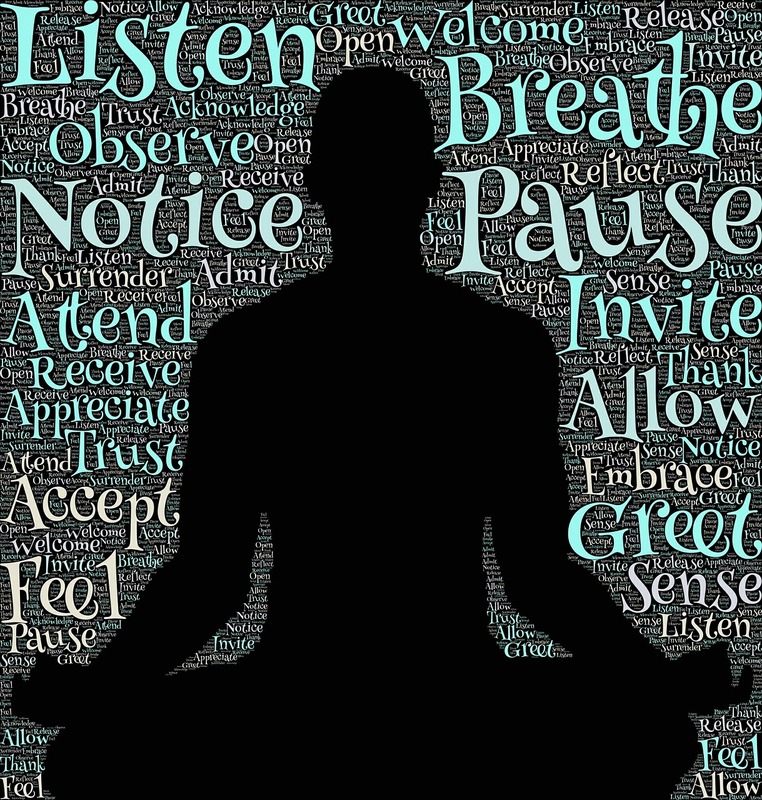 From this moment on , begin to pay attention to your thoughts…. Are you thinking ‘worse case nightmare’ or ‘best possible dream’ when your mind runs riot around an unknown outcome? My best advice is to focus on what you want, not what you don’t want! Notice how your energy, passion and zest for life, love, health and happiness improve simply by changing your thoughts. Back then nothing was certain! I’d never written a book before, I didn’t know how to do it, I knew zero about publishing, marketing a book let alone know how to balance my time to write it. I had to learn things I never knew. I had to work through some limiting beliefs about my book ‘being good enough’, I had to bring up old skeletons from my cupboard and work through them, I had to set boundaries, I had to learn a heap load of ‘stuff’ . I had to stretch myself beyond what I thought was possible for me and I’m still stretching as we speak right now! I focused on the positive outcome of what I wanted to achieve! 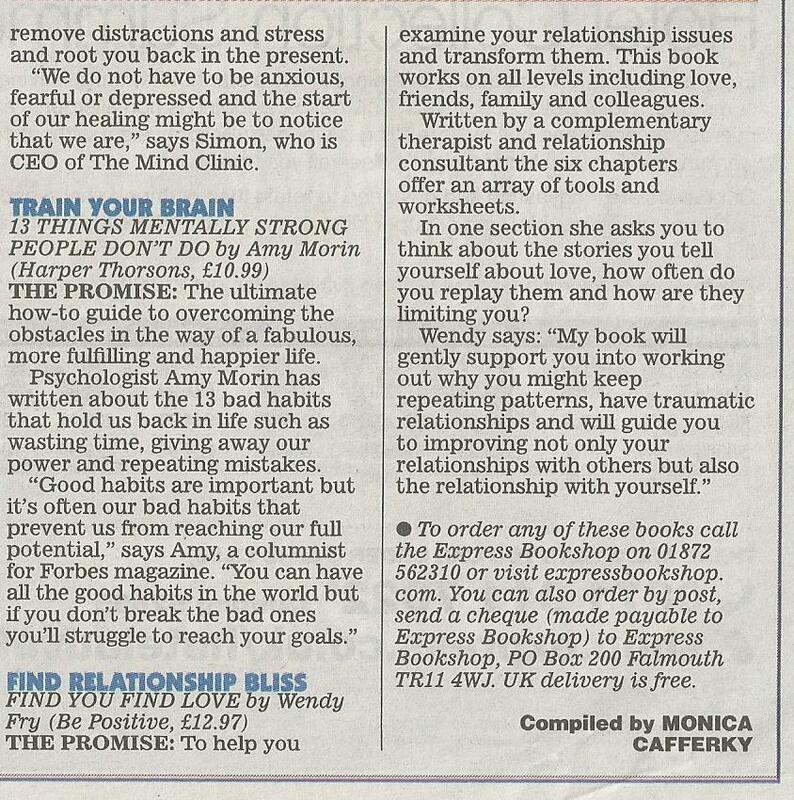 My goal was and still is to get my book out to as many people as possible who need help with love and relationships and understanding the significant role they play in creating happy outcomes for themselves. Part of my not knowing became clearer when I chunked down all that I had to do. 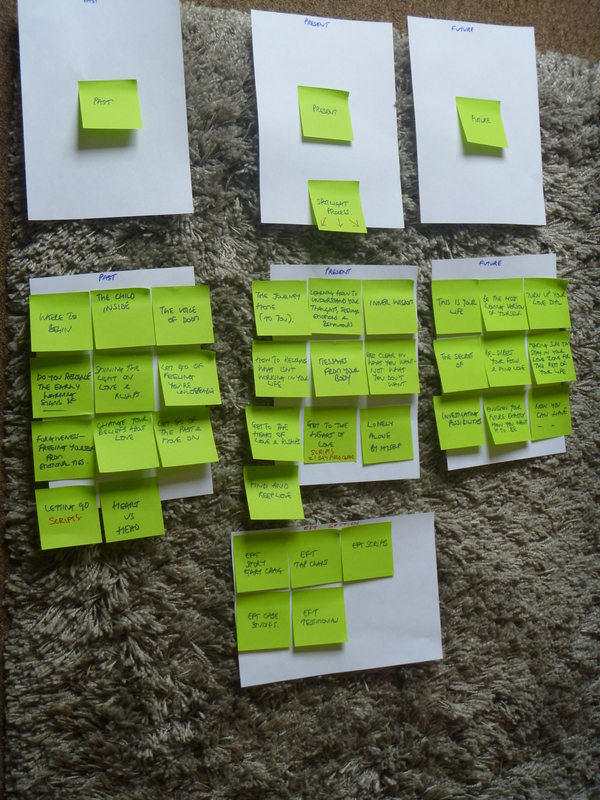 I used what seemed close to a million post it notes to form the structure and chapters of my book. I asked for help and hired the right people to help me. I surrounded myself with people who believed in me and also had to turn the ‘self belief’ notch right up as high as it would go. You can watch me here at the Book Opening so wish I’d done my hair! But hey ho, this is me, opening the books as soon as they arrived! A summer special written and shared by the lovely Monica Cafferky with much gratitude. When nothing is certain, everything is possible! I’m no different to you. I’ve had my doubts, fears, insecurities and experiences from the past that I don’t wish to repeat. 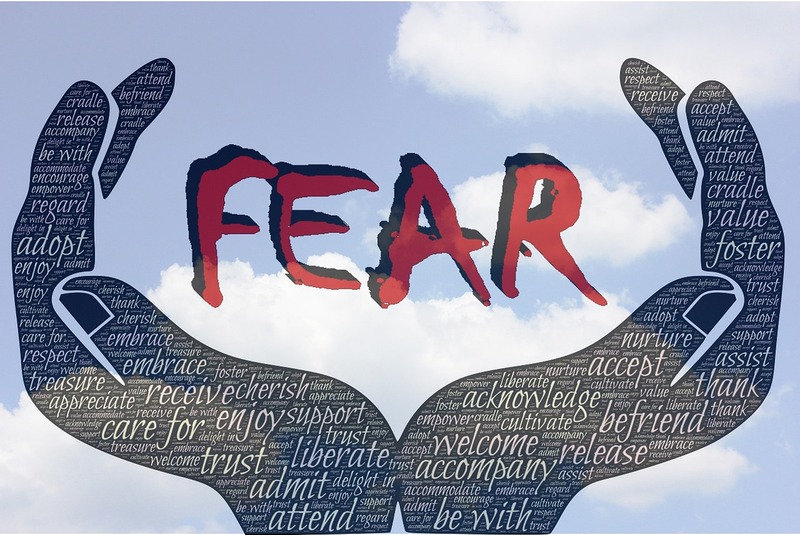 I simply used my fears as stepping stones to achieve the things that are important to me. What action, thought or deed can you make today that even though nothing is certain, everything is possible? Where are you shining your light? 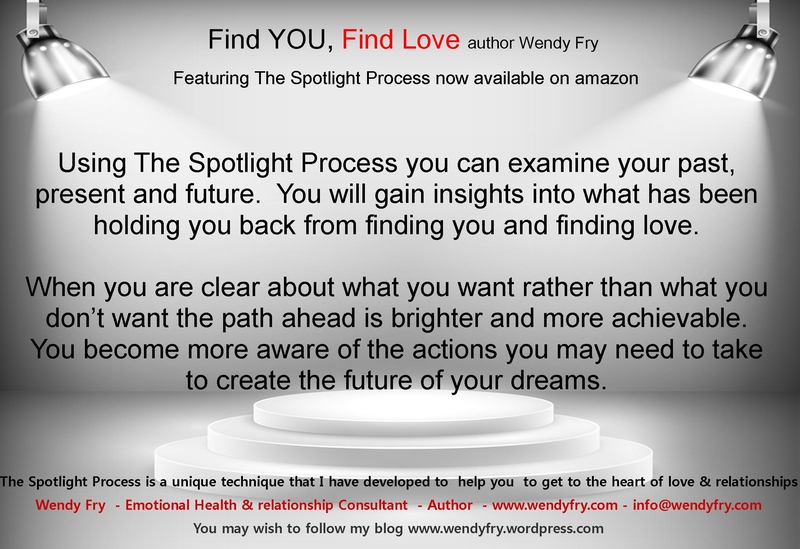 The Spotlight Process TM reviews your past, present and future and examines the events, perceptions and beliefs that may have contributed to your love and relationship problems up to now. Using this process you will gain awareness that the past need not influence the future. Giving you the freedom, encouragement and motivation to start your journey of personal transformation and bring you back home to you. 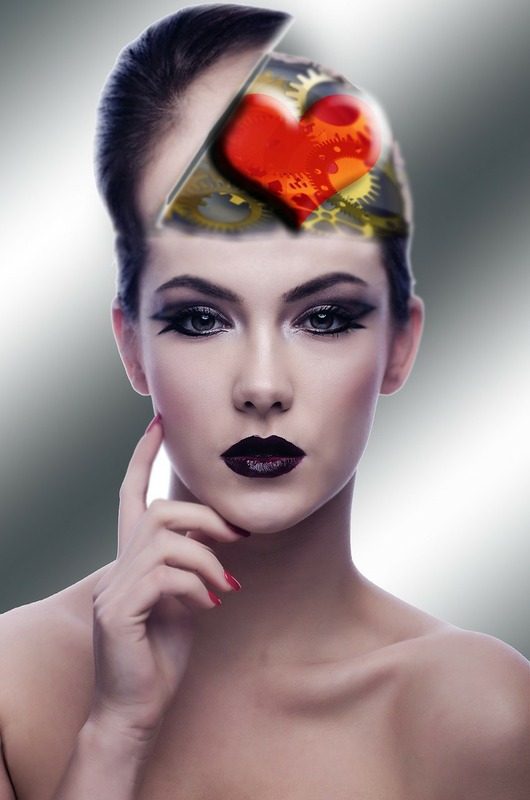 Having worked therapeutically with many people over the years, I have seen how people were limiting themselves and their love and relationship goals because of their negative thinking. They were either spending too much time thinking about the past, focusing entirely on current problems, or projecting catastrophic and disabling fears into the future. 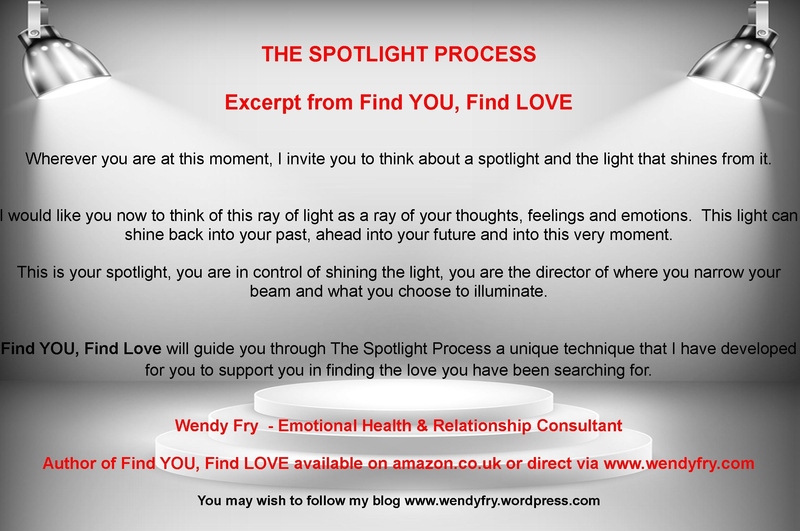 I developed The Spotlight Process to help you acknowledge where you have been spending most of your thought time and will guide you to work out where your thoughts may be out of balance and how to change them. Where have you been shining your spot light? Are you stuck in the past thinking about all the things you regret not having done? Do you feel angry and bitter about your choices? Do you wish you have your life all over again wishing you knew back then what you know now? Do you spend a lot of time thinking about your current problems, feeling like there’s no way out? Do you feel overwhelmed, bogged down, fed up and tired of life? Are you constantly evaluating, judging and filtering for all the things that could go wrong for you in the future? Are you scared of taking risks and things going wrong? Do you find it hard to trust, to live, to love? Now is the perfect time to apply The Spotlight Process to your own life simply by examining your thoughts. Wherever you are at this moment, I invite you to think about a spotlight and the light that shines from it. Whether you see it, sense it or imagine it, think about that spotlight right now. This ray of light could be a light in the form a torch, a lighthouse, a stage spotlight. Whatever spotlight comes to mind is perfect for you. Think of this ray of light as a ray of your thoughts, feelings and emotions. This light can shine back into your past, ahead to your future or into this very moment. This is your spotlight. You are in control of shining the light. You are the director of where you narrow your beam and what you choose to illuminate and think about. Whatever you shine your light on, you will experience. Using The Spotlight Process consider where you have been spending most of your thought time? Examine your thoughts & feelings about past are they positive or negative in terms of love and relationships? How do you feel about your current relationship status in the present? Consider what concerns and fears you have about the future of your relationships? 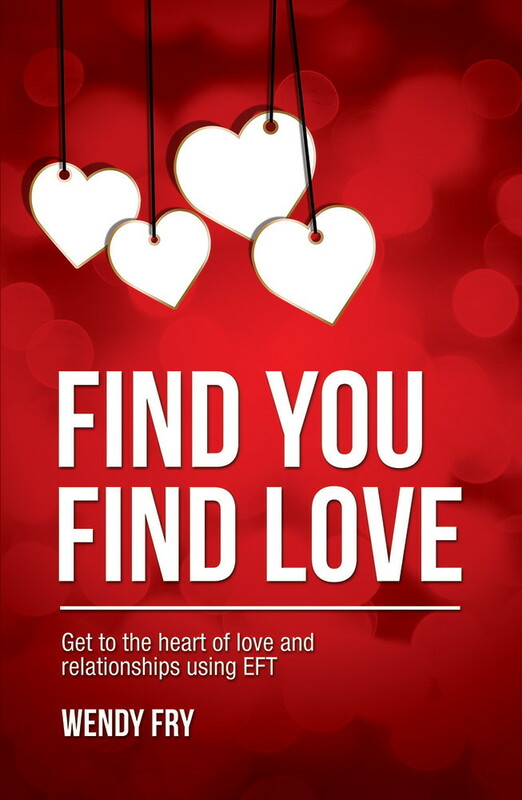 Using this process you will gain insights into what has been holding you back from finding you and finding love. How would gaining clarity about the way forward benefit you and what’s the cost if you do nothing? Help is at hand contact me at info@wendyfry.com and make the rest of your life the best of your life! 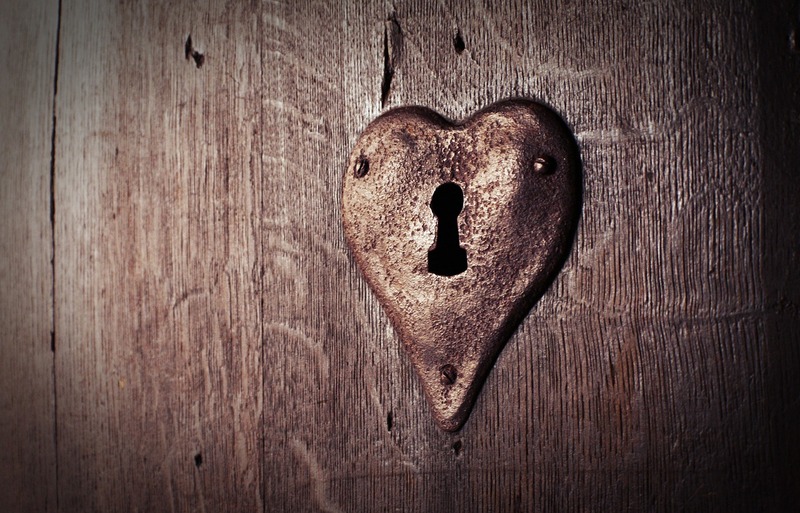 If someone were to spy through the keyhole of your home, your heart and mind. How much love would they find residing there? Through the keyhole is a British comedy panel game created by Sir David Frost. It features the host going around famous peoples homes and the viewers having to guess who lived there. This got me to thinking that if David Frost were to peek through the keyhole of your life, just how much love would he find there? I wonder if you would behave any differently if someone were spying on you. Would you decide not to argue with your spouse and family? Would you be more generous with your time and affection? Would you make more of an effort to communicate how much your loved ones mean to you? Would you forgive yourself for your wrong doings and others theirs? Sometimes it’s not until it’s too late that we wish we’d acted differently, said the words we felt and made more time to be with our families and friends. Perhaps for you a relationship has ended and you never truly showed your love? Often a person we cared for may have died and we never got to share with them what they meant to us. As you go about your days and weeks and months ahead, stop for a moment before acting or reacting and see what you can do, say or be to show your love more freely. Love is only a blink away!